Christopher, the other half of my cynical, politically angry heart departed to Budapest, Hungary, to take part in a program where they don’t capitalize letters and don’t take gender for granted. The night before he left we scurried to record the parody that we had written months before when we were representing the USA in the human rights council in Model UN. That’s right. Chris. Sara. USA. Human rights. The situation begged for sarcastic humor, and we begged for a creative release that wasn’t creatively spinning US foreign policy to make it appear moral. Here is the inevitable product of the weekend. And let’s face it, who isn’t less fortunate than us? Our democratic values start to spread. We invade and then take over. We know, we know, exactly what they need. Though it’s the toughest case we’ve yet to face. Don’t worry, we have enough drones to succeed. And yes. Indeed. You . Will. Have. Liberty, you are gonna have democracy. We will teach you how to rule when we have control. All the ways to pay us back. When you’re friends with us. Of course you’ll be friends with us. Public spending’s got to go. You are developed only when your capital is free to flow. Even if our wars have become serial. You must abide by, c-these rules we supply. When it comes to policy, don’t question our policy. This is the kind of stuff friends do. Sell the space make it productive. You’ve got a UN veto now in me. Will invade into your country and dictate the economy. Ha ha ha ha you’re a puppet state. But you won’t read about that part in History!!!!!!!!!!!!!!! 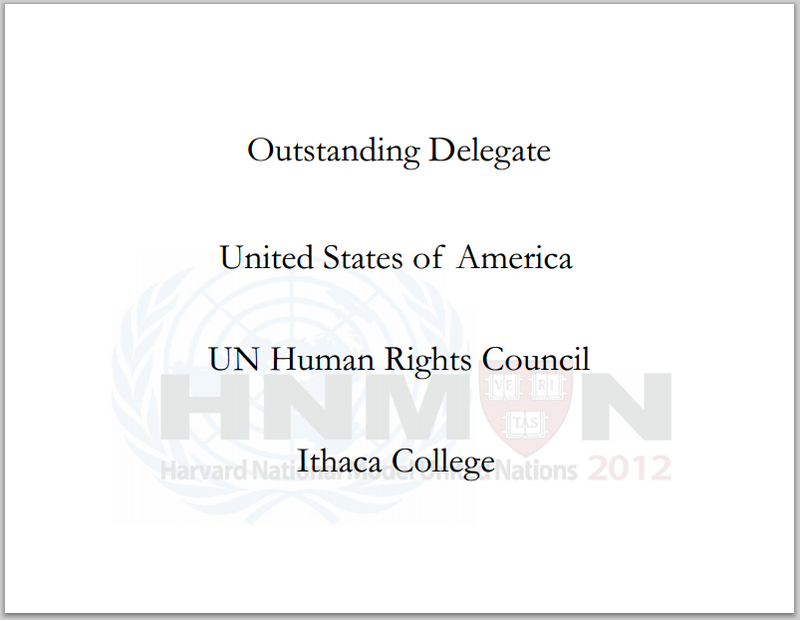 And just because I’ve yet to brag, here is a less inevitable, and more ironic result from the conference. This entry was posted in A Penny for My Thoughts..., Student Power. Bookmark the permalink.